Adobe has recently pulled Flash player from Google Play. Although Adobe already announced they are not going to update flash for mobile last year but as today officially there is no Flash Player available for mobile devices anymore. This blog used to be called FlexJava few years ago. I was a keen believer of Flash and Flex for the future of the web. Flex could offer easy and rich enterprise app development when compared to JSF or other Java Web UIs. The Flash engine could easily overcome cross browser issues and could even make ie6 work. I used to love flex, code on actionscript and run on flash player. I tought many developers how to write flex. So what happened? Steve Jobs did not want Flash on iOS. Actually this was his personal war with Adobe but honestly Adobe did everything to prove he is right. Adobe could never ship the long waited Flash Lite on time! Adobe was slow to innovate and update the flash player! Adobe could never overcome the performance issues and battery issues! Adobe could never update flash player to work seamlessly with touch controls! 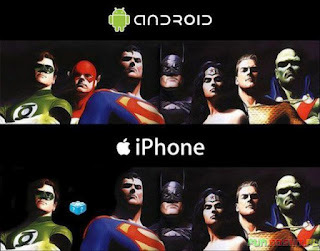 Although it was quite late, Adobe managed to release Flash player for Android which just proved Steve Jobs was right! Simply Flash was not for mobile! Actually it was... Only if Adobe could invest enough resources to improve Flash/Flex/Flash Player. I had chance to chat with several Adobe employees for the last few years and always here the same words... Flash Player is free so we can never make Adobe to invest enough in the player.